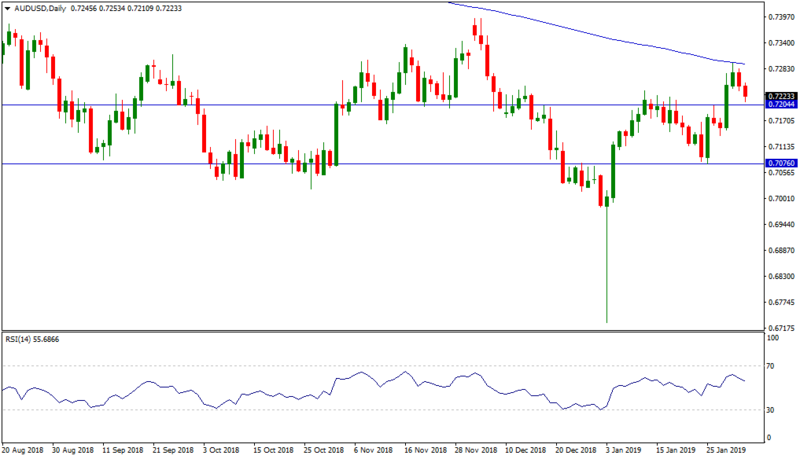 The recovery in USD/JPY since the Flash Crash in early January has been a slow one, but the currency pair reached a pivotal resistance level today at 110. Should it manage to clear that obstacle, it may signal an extension of the rally. The next big level to watch would then be 112, although traders should also keep an eye on the 200 DMA, which is currently around 111.40. Meanwhile, the outlook for the British Pound is becoming increasingly bearish. 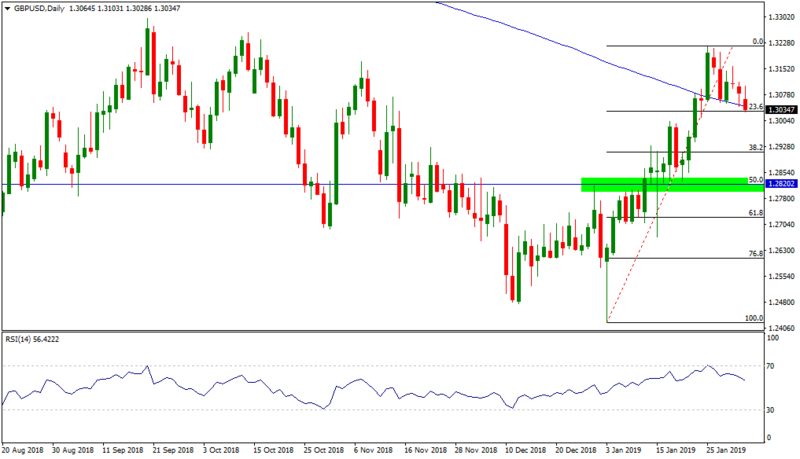 Aside from weak fundamentals due to the Brexit uncertainty, the clear rejection at 1.32 resistance and retracement towards 1.30 shows that GBP bulls lack the confidence to push this recovery rally much further. This suggests that the recent GBP appreciation was mostly driven by short sellers covering their positions, then speculators turning bullish on the Pound. 1.30 remains the level to watch - the next significant support would then lie at the 50 % Fibo of the January rally, which lies around 1.2820. 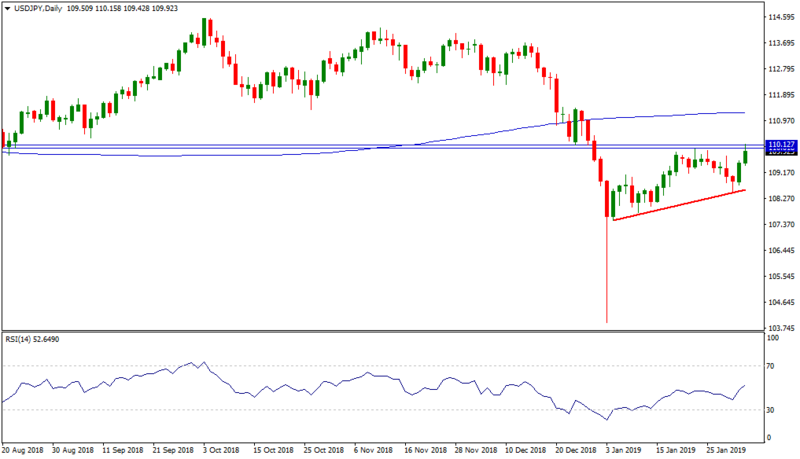 The Australian Dollar has failed at the 200 DMA and is approaching 0.72 support. A close of the trading day below that level would not be a good sign for AUD bulls, as there would be little support until 0.7075. A strengthening USD and weak sentiment in global equity markets is still weighing on the currency. After a strong rally in January, Gold is now showing signs of exhaustion. 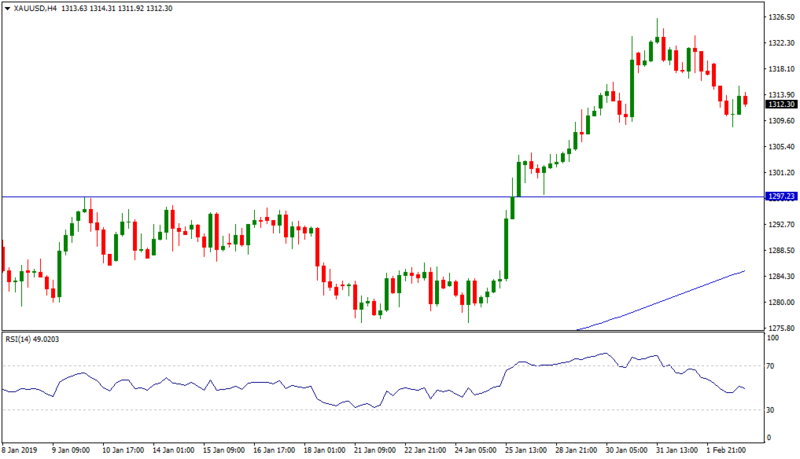 The rally stalled at $1325 and selling pressure has been increasing recently, as the US Dollar is regaining some strength. Nevertheless, if the precious metal can keep itself above the important $1297 support level, the short-term outlook remains bullish.